Chess Club — St Aidan's C.S. Chess is one of history’s most strategic games and one of the best sports for developing many of the brains cognitive skills. 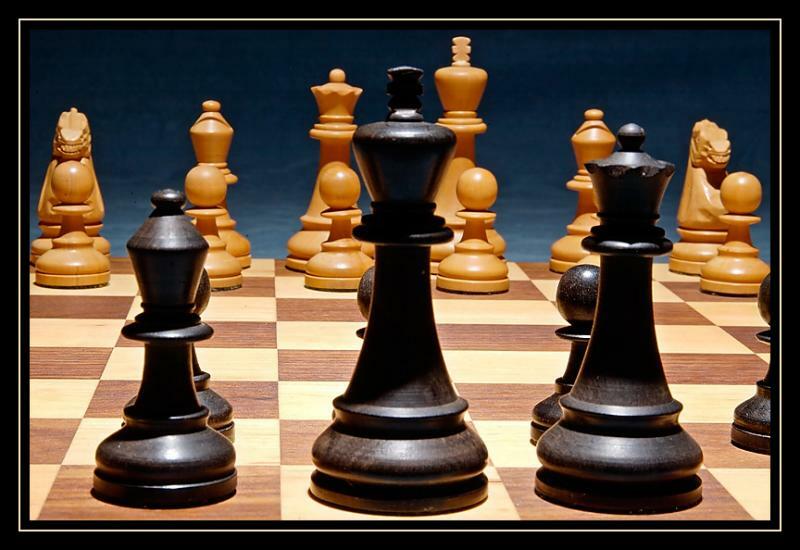 The early beginnings of Chess can be traced back to the Kushan Empire in Ancient Afghanistan however Chess is believed to have originated in northwest India during the Gupta Empire in the 6th century. There is also evidence that it was played in Persia (now known as Iran) around 600 AD where the game came to be known by the name Chatrang. Original pieces on the board consisted of four divisions of the military – infantry, cavalry, elephants and chariots. These were represented by pieces that would evolve into the modern pawn, knight, bishop and rook, respectively. The game reached Russia in the 9th century and around the 11th century it was introduced to Europe through the Iberian Peninsula by the Moors and then quickly spread throughout the continent. Many famous people over the ages have played this game from famous military tacticians such as George Patton and Napoleon Bonaparte to famous American Presidents like Abraham Lincoln and Dwight D. Eisenhower; from great minds such as Isaac Newton and Albert Einstein to great modern thinkers like Jung and Voltaire. Great writers such as Edgar Allen Poe and William Yeats; even famous actors such as John Wayne, Marlon Brando and Marlene Dietrich were known to have enjoyed playing this game on a regular basis. All through time Chess has left its indelible mark on people. If you’re interested in participating and enjoying this popular sport why not join the chess club? The Chess club here at St. Aidan’s is organised by the Librarian Ms Flynn.